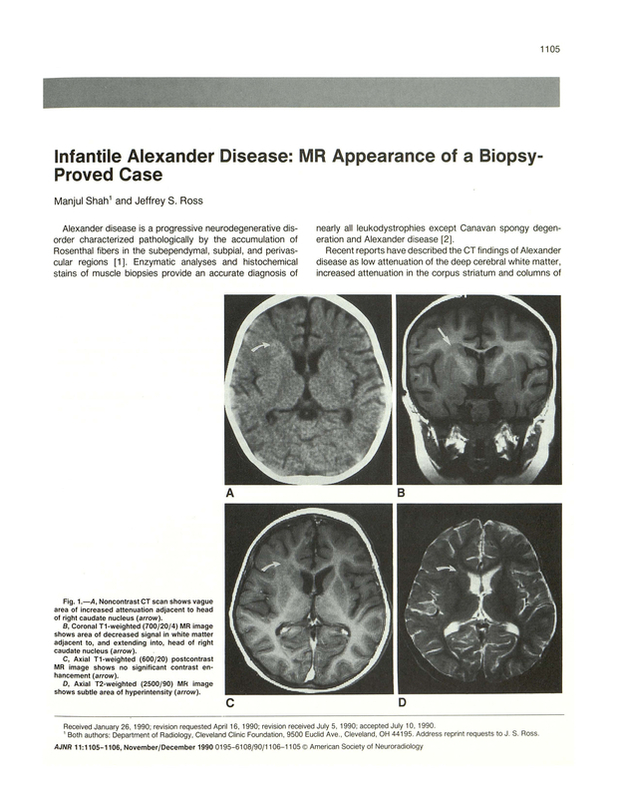 Infantile Alexander disease: MR appearance of a biopsy-proved case. Department of Radiology, Cleveland Clinic Foundation, OH 44195. You are going to email the following Infantile Alexander disease: MR appearance of a biopsy-proved case.